Saina Nehwal vs Carolina Marin Highlights: Saina Nehwal loses 16-21, 13-21 to Carolina Marin of Spain. 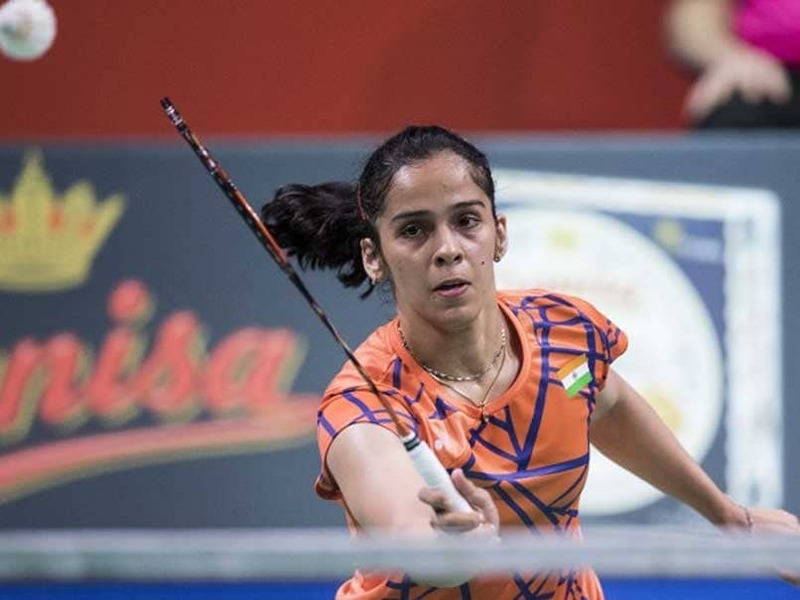 Saina Nehwal crashed out of the Malaysia Masters 2019 after losing 16-21, 13-21 to Carolina Marin of Spain in the semifinal match at the Axiata Arena, Kuala Lumpur on Saturday. 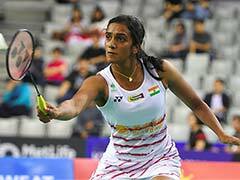 The Indian shuttler was dominated by the three-time world champion Carolina Marin throughout the 40-minute contest in Malaysia. In the women's singles final, Marin will take on either Thai badminton player Ratchanok Intanon or Goh Jin Wei of Malaysia. Earlier, Saina Nehwal had stunned superior seeded Nozomi Okuhara 21-18, 23-21 in straight games to enter the semi-finals on Friday. The premier Indian shuttler Saina Nehwal clinched victory against her Japanese counterpart in a match that lasted for 48 minutes. Meanwhile, there was some bad news for Indian fans in the men's singles category as Kidambi Srikanth lost his quarterfinal to exit the tournament. The Indian, seeded seventh, lost 23-21, 16-21, 17-21 to 4th seed Son Wan Ho of South Korea. Seventh seeded Saina, who had a 8-4 head-to-head record against Okuhara before Friday, fought back from 9-15 and 14-18 down in the two games to extend her dominance over the second-seeded Japanese with a 21-18 23-21 win in a 48-minute quarterfinals at the Axiata Arena. Saina Nehwal vs Carolina Marin, Malaysia Masters 2019 semifinal highlights from Axiata Arena, Kuala Lumpur, Malaysia. 11:28 IST: That brings an end to the semifinal match between Saina Nehwal and Carolina Marin. Thank you for joining us for the live coverage from Kuala Lampur. 11:21 IST: Game Over! Saina Nehwal loses the semifinal 16-21, 13-21 to Carolina Marin of Spain. The India fought hard in the 40-minute contest but three-time world champion Carolina Marin gave her no chance to dominate in Malaysia. 11:19 IST: Carolina Marin takes 20-12 lead. 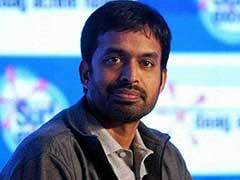 Saina Nehwal has the last chance to save the game and the match. 11:16 IST: A long rally of shots ends in the favour of Sana Nehwal. She still trails Carolina Marin 10-17. 11:14 IST: Service over! Saina Nehwal launches a counter attack and comes close to Carolina Marina. She still trails the game by 8-13. 11:11 IST: INTERVAL! Carolina leads the second game 11-6 at the break. She won the first game against Saina Nehwal 21-16. 11:09 IST: Fightback from Saina Nehwal! After losing six consecutive points, Saina seals two back-to-back points to remain in the contest. 11:07 IST: Unsuccessful again! Saina Nehwal has lost her first challenge of the game. 11:06 IST: CHALLENGE! Saina Nehwal opts for a review. 11:05 IST: Carolina Marin again clinches back-to-back points after losing the first point to Saina Nehwal. The Spaniard leads 4-1 against Saina Nehwal. 11:03 IST: The second game begins at the Axiata Arena. 11:00 IST: END OF FIRST GAME! Carolina Marin wins the first game 21-16 in an exciting 20-minute contest. 10:58 IST: Six consecutive points! The game is going far away from Saina Nehwal. She trails Carolina Marin 14-20. 10:56 IST: Carolina Marin clinches three successive points to dominate the game again. She leads 17-14 at the moment. 10:54 IST: Smash! Carolina Marin plays an excellent cross-court smash to take a 14-12 lead. 10:50 IST: Break! Carolina Marin leads the game by 11-9 at the break. Saina Nehwal will look to fight back in the second-half to save the first game. 10:48 IST: Saina Nehwal levels the scoreline 9-9. She looks in great shape today as she comfortably won four consecutive points to restore parity. 10:46 IST: Carolina Marin has bounced back after losing four points to Saina Nehwal early. 10:43 IST: Unsuccessful! Saina Nehwal loses her first challenge. But she leads the game by 4-2. 10:42 IST: CHALLENGE! First challenge of the play! Saina Nehwal opts for a review. 10:41 IST: Positive start for the Indian! Saina Nehwal clinched the first point. 10:40 IST: The first game begins in Malaysia. 10:36 IST: India's Saina Nehwal and Carolina Marin of Spain walks out in the middle as the women's semifinal match is about to begin at Axiata Arena. 10:34 IST: In the other mixed-doubles semifinal, the Dutch pair of Robin Tabeling and Selena Piek are facing Dechapol Puavaranukroh and Sapsiree Taerattanachai of Thailand. 10:31 IST: Yuta Watanabe and Arisa Higashino beat Chan Peng Soon and Goh Liu Ying of Malaysia 21-15, 7-21, 21-14 to enter Malaysia Masters mixed-doubles final. 10:24 IST: Currently, Japan's Yuta Watanabe and Arisa Higashino are playing Chan Peng Soon and Goh Liu Ying of Malaysia in the mixed-doubles semifinals at Axiata Arena. 10:20 IST: Head-to-head! Saina Nehwal has defeated Carolina Marin five times and lost to the Spaniard as many times in the last 10 meetings. 10:17 IST: In the semifinals, the Indian shuttler will take on three-time world champion Carolina Marin of Spain. 10:15 IST: Saina Nehwal had won the title at Malaysia Masters in 2017 and was a runner-up in the 2011 edition. 10:12 IST: However, Kidambi Srikanth crashed out of the Malaysia Masters after losing 23-21 16-21 17-21 to fourth-seed Korean Son Wan Ho in the men's singles quarterfinals that lasted an hour and 12 minutes. 10:08 IST: In quarterfinals on Friday, Saina Nehwal scripted a hard-fought 21-18 23-21 win over former world champion Nozomi Okuhara of Japan. 10:00 IST: Hello and welcome to our live coverage of the Malaysia Masters 2019 semifinal match between Saina Nehwal and Carolina Marin in Kuala Lampur.